Skilled-workforce emigration is one of the most urgent societal problems that most countries of the Danube Region face. 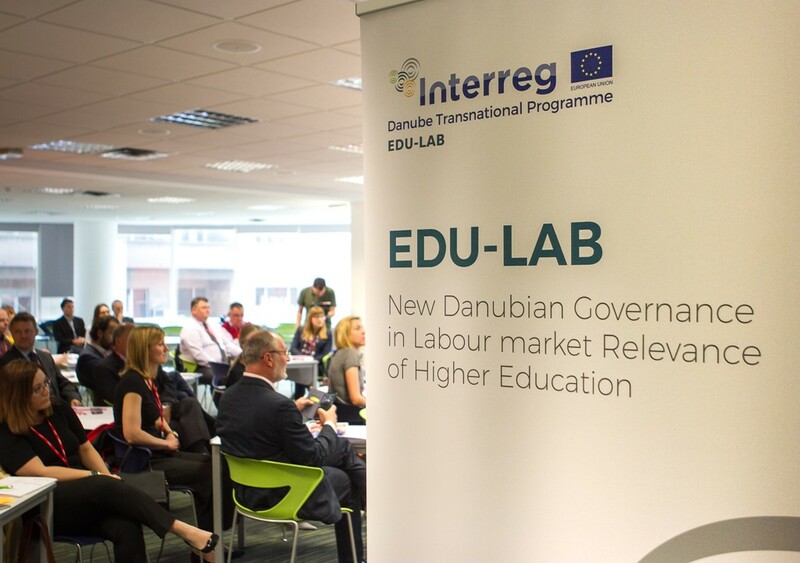 The goal of the project EDU-LAB: : New Danubian Governance in Labour market Relevance of Higher Education is to improve the professional chances of young people in the region through linking education to employment in a sustainable way. The project consortium consists of 27 partners from 10 countries, bringing together partners from the higher education sector, business organizations, national public authorities, policy makers and NGOs. During the 2,5-year cooperation, three pilot activities have been implemented in Bulgaria, Serbia and Slovakia. In August 2018 the Slovak Accreditation Commission approved the launch of a new professional bachelor`s programme. As the main output of the project, the newly developed governance model has the goal to create a binding commitment by the “Danubian Charter for Young Talents”. The project is developed in the framework of the Interreg Danube Transnational Programme and is co-funded by European Union funds (ERDF, IPA). Bulgaria, Croatia, Italy and Romania all struggle with a high youth unemployment rate. At the same time, employers complain of a lack of qualified candidates even in fields with high growth potential, such as cultural and heritage tourism. PRO-YOUTH aims to tackle this problem by providing qualified work-based education related to cultural and heritage tourism, inspired by the successful German model. Work-based experiences have been proved to be leading to employment even in countries with high unemployment rates. PRO-YOUTH is running between October 2018 and March 2021. The project is co-funded by the Erasmus+ Programme of the European Union. EuroDuaLE is a transnational project that was implemented between 2015 and 2018. Building on existing good practice (i.e. Germany) the goal of EuroDuaLE is to find cost-effective ways for EU Member States to establish and expand the apprenticeship approach. With the development of an integrated transnational Dual Learning framework, HEIs and relevant stakeholders in the labour market can establish a synergy and provide students with new curricula, combining formal training and training on-the job, physical and virtual mobility. The Interreg Volunteer Youth (IVY) programme offers EU citizens aged 18-30 to volunteer in projects connected to the European Territorial Cooperation (Interreg). Through volunteering, young people have an opportunity to be involved in transnational programmes, learn more about the EU´s cohesion policy and gain valuable professional experience in a new country. Volunteers also receive a scholarship from the programme. In the framework of IVY, EFE has hosted volunteers from Greece, Germany, France/Bosnia and Herzegovina and Hungary. 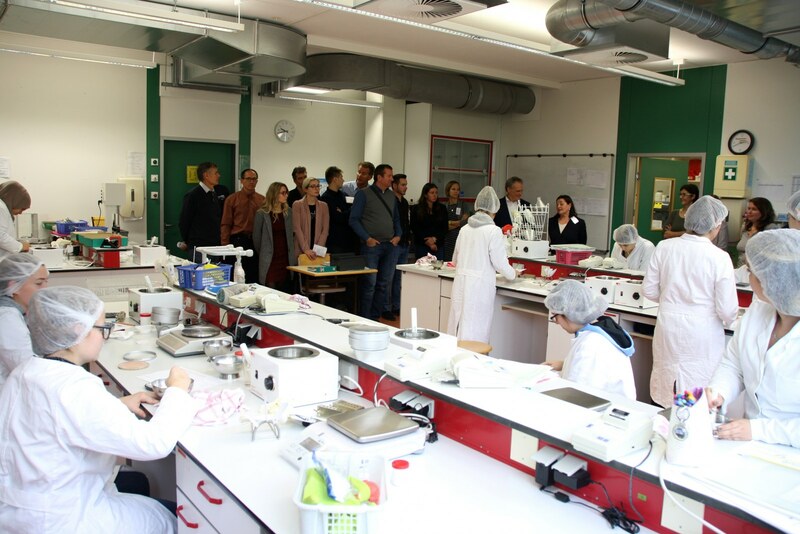 The VET Schools partnership`s goal is to create and foster partnerships between schools in Croatia and Baden-Württemberg in order to exchange experiences on practice-oriented vocational education within the Croatian school system. The project aims to facilitate the implementation of Croatia’s National Reform Programme in order to lower brain drain and high unemployment rates in Croatia. As vocational education and training is of special importance in rural areas for regional development, schools from the Ostalb district are included as well as the European Training and Transfer Academy (EATA) located in this area. EFE has an active role in Thematic Pole 9 “Educational Governance” of the Danube Transnational Programme (DTP). The Pole aims to contribute to the specific objective “SO 4.1 Improve institutional capacities to tackle major societal challenges” of DTP. The main goals of the Pole are developing more labour-relevant education schemes and creating new learning tools for designing new educational governance models. Dr. des. Ágnes Sebestyén, Project Director of EDU-LAB, is the pole leader, and four INTERREG projects belong to the Pole: EDU-LAB, Learning by Doing, InnoSchool and INDEED. As part of the pilot activities within EDU-LAB, EFE brings forward the founding of a National Academy for Professional Education in Bulgaria. The institution would serve as a non-profit organisation aiming to better connect students with employers as well as provide training in various areas.